Objects of beauty: Founder Toni Ko. Toni Ko’s path to entrepreneurship was a common one: She wanted a product that didn’t exist, so she decided to create it herself. The item in question: a high-quality yet affordable eyeliner pencil. The year was 1999. The self-professed makeup junkie explains that at the time, high-end cosmetics were available only at department stores; drugstore alternatives didn’t compare. 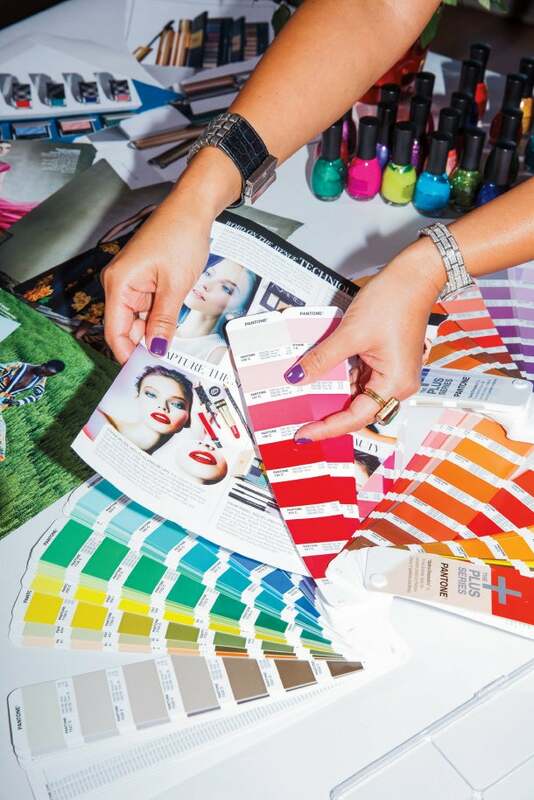 At age 26 Ko founded NYX Cosmetics to bridge the gap between quality and price. Armed with a $250,000 loan from her mom, Ko, who had no experience developing makeup, got to work on her first product: a stylishly packaged, premium eye pencil that retailed between $1.49 and $1.99. Her first year in business, selling only eyeliner and lip liner, she brought in $2 million in revenue. 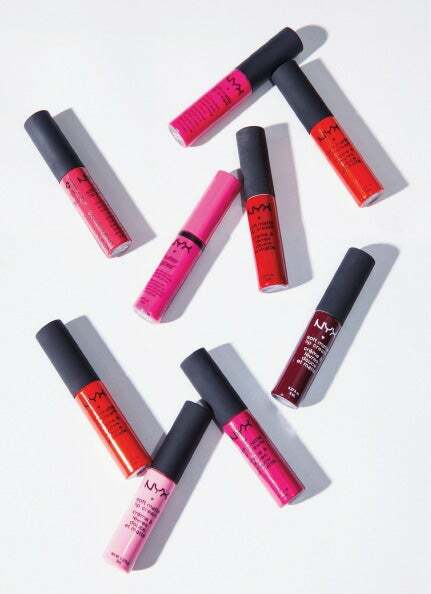 It took more than eight years before Ko cracked ULTA Beauty—the first big-box retailer to carry NYX’s product line. Target, CVS and Canada’s London Drugs soon followed. In June 2014, with NYX products available in more than 70 countries and annual revenue topping $100 million, she sold the company to L’Oréal for an undisclosed sum. Ko calls the sale “a very successful exit.” But her road to the top was hardly a cakewalk. There were mistakes along the way, from factory glitches to packaging misfires to products that fell flat. “I learned everything by trial and error,” the Los Angeles resident says. Developing a successful product line doesn’t have to be a fumble in the dark. Here are seven best practices for bringing your baby to market as efficiently and economically as possible. It’s not enough to run nascent products by friends and family. Instead, vet early-stage plans and prototypes with potential customers (in other words, strangers). The idea is to get people to tell you whether the product meets their needs and, if not, what might improve it. Is the product the right shape? Are buttons or other functional components in the right place? Is it the right color? Does it perform the way people want it to? This is what Kit Hickey does with Ministry of Supply, the performance-apparel company she co-founded in 2011. Based in the Boston area, Ministry of Supply often tests new clothing items by selling beta versions in small 10- to 100-item batches through its website and collecting customer feedback on color, fit, fabric and comfort. That way, “you’re not spending weeks or months working on features that might not even matter to your customers,” Hickey says. 2. Refine your design with simplicity in mind. A straightforward product design is essential. The same goes for brand continuity among every item you sell. “Your product has to capture someone’s attention within the first three seconds of them glancing at it,” says Ziver Birg, founder of Zivelo, which sells customized electronic kiosks to banks, airports and retailers. In fact, the Phoenix-area entrepreneur says that quality design is the best investment you can make. Product packaging should be clean and compelling as well, with easy-to-read text. Busy packaging that explodes with colors or design elements will only frustrate consumers. When developing packaging, consider where your product will be sold, advises Jeff Dahl, inventor of LoopRope, a bungee product for securing camping and outdoor gear. Retailers want packaging that won’t take up too much space, and many are looking for eco-friendly options, says the Medford, Ore., entrepreneur, who learned this the hard way. “The cost of redoing it is not cheap,” he says. 3. Don’t skimp on materials or manufacturing. A low-cost vendor isn’t necessarily your best bet. “It’s important not to make purchasing decisions based solely on price,” Ko says. “You have to go for quality and reputation.” That may mean spending a little extra, given that top-shelf suppliers, labs and manufacturers tend to charge more. Look online, attend trade shows and collect industry recommendations. You may need to hire an agent to find a factory for you. However, Ko cautions, you must personally visit any factory you’re thinking of partnering with, even if it’s 8,000 miles away. To ensure that production is up to snuff, create guidelines for every manufacturing detail. “It’s not enough to outline 85 percent of the process,” Hong says. For example, don’t simply say that your product should be constructed of stainless steel—specify a grade, or the factory will likely use the lowest-end option. Many entrepreneurs fail to factor in all overhead costs—including shipping and duties—when considering pricing. Other mistakes: gauging incorrectly what consumers will be willing to pay, not knowing where you want to sell the product and thinking you can make the same profit margin from high- and low-end retailers. For example, selling at Nordstrom will yield a different margin than selling on Amazon and may require different packaging, Wenslow says. Wait to do the math until you’ve nailed down all the particulars. Once you run the numbers, if your profit margins are too low (or the price you need to charge to make a profit is too high), you may need to whittle down your manufacturing costs. Hong is a fan of looking to the marketplace—at comparable products and industry margins—to calculate product price. “I’ve always been a big believer that your cost and the price is driven by the market, unless you are creating a new market for a product,” he says. If you need help setting prices, Wenslow suggests enlisting the services of a product development consultant or sales broker. Sure, you don’t want to run out of product. And sure, suppliers offer discounts for larger orders. But tying up all your capital in inventory can turn your company into the Titanic. “If you think you’re going to sell 100 pieces, don’t go and buy 1,000,” Ko says. Instead, buy 110. Cash flow, shipping time, storage space and shelf life will dictate how much product you stock. “It’s an intricate dance, and every industry is different,” Ko says. Intellectual property laws can protect you only if you arm yourself accordingly. Hiring a tough IP attorney is a must. But before you shell out thousands, visit the U.S. Patent and Trademark Office website (uspto.gov) to learn about these protections and ensure that your idea hasn’t already been patented or trademarked by someone else. As early as possible, you should trademark your product name, purchase the corresponding web domain and file a provisional patent application, which won’t break the bank but will allow you to stake a claim on your idea while giving you a year to file a formal application. You probably won’t be able to afford to patent your products in multiple countries from day one—you’ll likely file a U.S. patent first and add others as it makes sense. But it helps to determine early on where else you may want to market your idea, Wenslow says, because once you head down this path, the deadlines for filing patents abroad arrive quickly. 7. Consider retailers and communicate wisely. Landed a meeting with a potential retailer? You need to anticipate all questions they might lob your way so you can help them see how to market and sell your product to their particular customer base. “It’s all about specificity,” says Zivelo’s Birg. You may not get into your preferred retail outlet your first time out. If that’s the case, be persistent but pleasant. Dahl, whose products now sell on QVC and through retailers such as Camping World and Cabela’s, follows up once per month or quarter with buyers he’s met who are still on the fence.